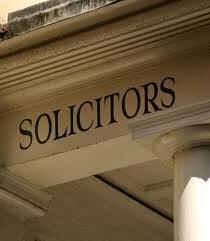 Our solicitor’s fees for debt collection matters are set out below. There are some cases where we would need to discuss the case with your first to advise you as to the probable professional fee and outlays to expect. Our fee for sending debt collection letter is €50 which may have the desired effect; other fees will be discussed with you at your first consultation. What type of letter you choose will depend on your relationship with your debtor, how long the money is outstanding and your personal preference-you may for example decide that the softer versions is more appropriate in the first instance if you have built up a relationship with the debtor over some years. Our correspondence fee will arise when a debtor contacts us in relation to the demand letter with a query or perhaps looking for additional documentation, an invoice or other information. When this happens we refer the issue to you in the first instance. If you wish us to deal with the debtor by way of correspondence and organising a payment plan, receipt of the payments, issuing receipts and forwarding the monies to you there will be a correspondence fee to cover this work which is not recoverable from the debtor in the absence of legal proceedings being issued. Our minimum correspondence fee is €45. In defended cases, that is where a Notice of Intention to Defend or an Appearance is entered and the debtor contests the case, our fees will include the Professional fees set out below plus our hourly charge out rate which we will notify you of prior to commencing work. You will of course receive a section 68 letter setting out our fees and expected outlays or the basis on which we will charge or an estimate of our fees prior to commencing work. Each case will have it’s own particular character, level of expertise, skill and responsibility requirements and for this reason it is impossible to be absolutely definitive as to our fees in respect of defended cases. 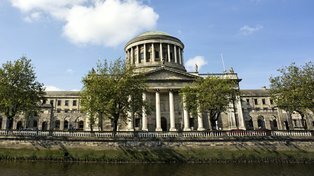 To apply for an instalment order in the District Court for a Judgment already obtained or to bring committal proceedings our fee is €195 plus vat. Liaise with the Sheriff to have your judgment enforced. If you have any queries do not hesitate to contact us and you will find that we are approachable, responsive, professional and competitive.